I once again find myself catching up with my workout posts. But it was more important to get the Franconia Ridge hike description up. Anyway, I’m now in the 4th week of phase 2 of this P90X2 round. The routines continue to go well. Though, I must confess the first X2 Ab Ripper after returning from our little hike was very weak. I was still feeling a bit drained from that jaunt. But I’ve been recovering and actually felt pretty good during today’s Shoulders + Arms and Ab Ripper. 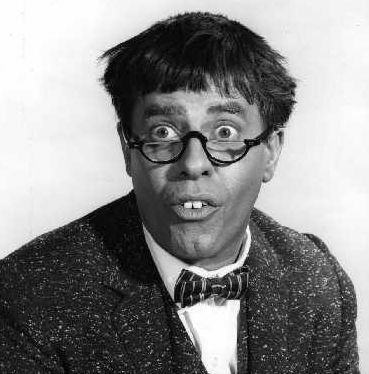 Why the picture of Jerry Lewis? Well toward the end of Shoulders + Arms, Tony Horton says “hello lady” in his best Jerry Lewis imitation. He also did that old Mickey Mouse Club “Why? Because we like you” during the Y T presses. I could have put up a picture of the mouse, but don’t want to be sued by the Disney juggernaut. Tony Horton also starts singing the Spiderman theme in this routine. Yes, I expect many interests will be lining up to collect damages from unwanted use of their intellectual property. Milestone: first post made from the WordPress ap on my rooted Kindle Fire. This entry was posted in P90X2, Round 5 and tagged ARX-2, Calories, Chest + Back + Balance, Heart Rate, P90X2, plyocide, Recovery & Mobility, Shoulders & Arms. Bookmark the permalink.